One of the biggest conversation starters swirling around the Marvel community today has involved how exactly Earth’s Mightiest Heroes will be divided when the chips are down in next year’s anticipated threequel, Captain America: Civil War. Concept art (which we’ve posted above, in case you missed it earlier) has emerged a little ahead of schedule that underlines how each roster – Team Cap and Team Iron Man, that is – is shaping up, though Jeremy Renner has now taken to Twitter to unveil a third piece of concept art of his sharpshooter (aka Clint Barton). Trumpeting a new armor for the former agent of S.H.I.E.L.D., the one-sheet also includes a bite-sized cameo of its own in the form of Scott Lang’s Ant-Man. Building off the post-credits scene from Peyton Reed’s blockbuster earlier this month, it would appear Paul Rudd’s miniature hero is firmly on point with Cap and Co. This image arrives on the heels of Renner confirming that he won’t don the mask in either Civil War or the two-fold finale that is Avengers: Infinity War. Besides, with Ant-Man on his side, he’ll need full view of the battlefield before loosing an arrow with Rudd’s physics-defying hero on board. Will we see the start of a new screen bromance in these two? 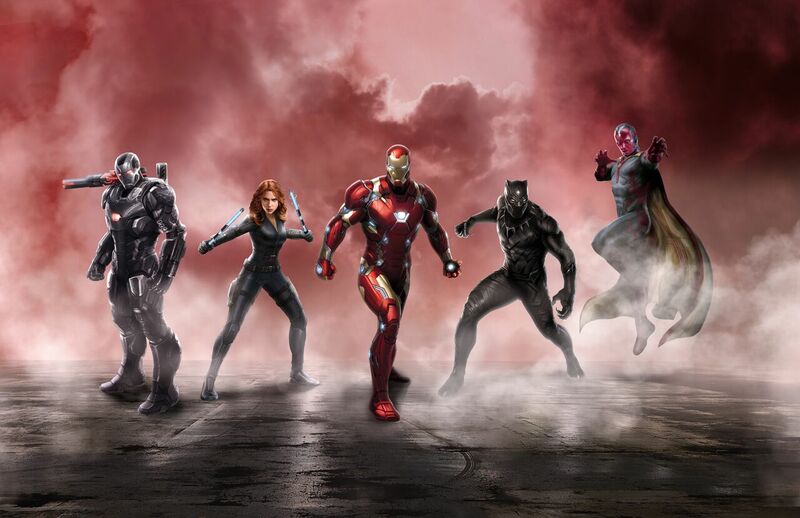 Now that Marvel has drawn a line in the sand between its roster of heroes, the fun part will be cherry-picking the remaining members of the ensemble who were conspicuously absent from today’s artwork. Presumably still AWOL in the wake of Age of Ultron, there’s no sign of Mark Ruffalo’s Hulk nor Scarlet Witch, while Tom Holland’s Spider-Man still needs to be considered. Granted, considering that a much-touted – but crucially unconfirmed – plotline will allegedly see Tony Stark construct a specialized armor for the webslinger, it’s a safe bet that Holland will fall in line with Robert Downey Jr.’s renegade. Captain America: Civil War will pit Earth’s Mightiest Heroes against one another when Joe and Anthony Russo’s sequel arrives on May 6, 2016.